A styled Shoot at the perfect Cheshire location. In January 2016 Dorfold Hall became a new Cheshire wedding venue. This grade 1 listed Jacobean mansion has the most outstanding views overlooking the Cheshire countryside as far as the eye can see, just outside the market town of Nantwich. The perfect location for our styled shoot where I had the pleasure of meeting and working with some of the best wedding suppliers. The shoot was styled with a bohemian romance in mind. The two wedding gowns we opted to use were by Claire Pettibone Romantique and Caroline Castigliano to add to the beauty of the wedding gowns we used hair vines put into the models hair by Gill at Kreative Hairdressing and beautiful florals featuring blush roses, narcissi and anenomes from Flowers by Breige. Sarah Dunn Make up & Beauty used mostly Charlotte Tilbury, Burberry and MAC Cosmetics to enhance the already beautiful models Megan Goodswen and Christie Goodswen. The day was quite cold however the rain cleared up in the afternoon allowing us to head outside into the magnificent gardens, although the gardens still had a wintry feel about them the patches of snowdrops made a pretty backdrop to the Claire Pettibone Romantique gowns and the natural bouquet of white florals. It was a privilege for me to work with such a talented team of wedding suppliers, I must pay a huge thanks to Dorfold Hall for allowing us to use their beautiful venue and last but no means least to Jade our fabulous photographer. Jade Osborne Photography captured the beauty and romance of the day wouldn’t you agree?! Myself and the other bridal suppliers are looking forward to heading back in June to capture the beautiful gardens in full bloom. Look out for my next blog. 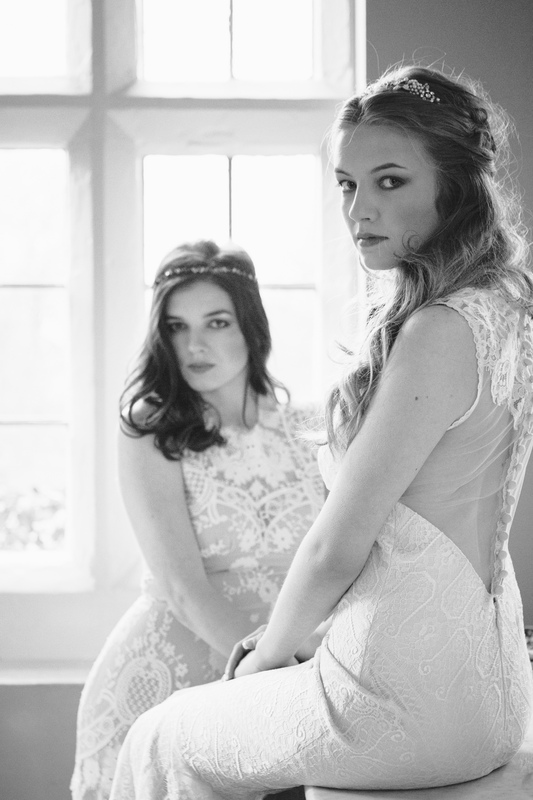 Where did Lillya Grace Bridal Boutique Come From? What is a designer day and why are they useful? Award winning retailer of designer wedding dresses located in Nantwich, Cheshire.